Fletcher-Nasevich Funeral Home is a funeral business with a convenient location just 1 1/2 miles outside of Philadelphia City Center. 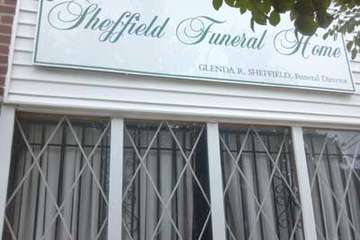 With I-95 and I-676 just a stone's throw from the facility, the funeral home has the opportunity to serve those outside the city just as easily. Fletcher-Nasevich Funeral Home was established in 1919, however it was founded as Nasevich Funeral Home. It was not until the acquisition of the nearly century-old Fletcher Funeral Home in 2006 that the business became known as Fletcher-Nasevich Funeral Home. The funeral home now operates from two locations in Philadelphia. Michael F. Nasevich founded Nasevich Funeral Home alongside his wife, and it has since been passed through the Nasevich family. The Fletchers also had a long tradition of family service, with four generations serving the business before the sale. The Nasevich family now oversees both locations. The staff at Fletcher-Nasevich Funeral Home serves the community by offering a wide range of funeral services and cremation offerings. From direct cremation and direct burial to full memorial services with limo transport, there is an option to suit each unique situation. The prices below are based on the General Price List for Nasevich Funeral Home. However, funeral homes sometimes have special pricing packages available, and you should ask if those are available. Please let the funeral director know that you found Nasevich Funeral Home on Parting.com to allow us to continue helping families like yours. The General Price List we have on file for Nasevich Funeral Home has an effective date of Jan. 1, 2016. The prices on our site are for your reference only. We can’t guarantee that the actual prices will be the same as the prices listed on our site. All funeral homes have an effective date on their Price Lists that are subject to change and we recommend that you ask the funeral home for its most recent prices over the phone or for a copy of their General Price List. The funeral directors at Nasevich Funeral Home are available to provide you with expert advice.